This is my 1st Stock Market piece. You have an olive tottering back and forth saying “sell High, Buy Low”. The 5 and 7 are animated with hands and legs cheering on the Olive. 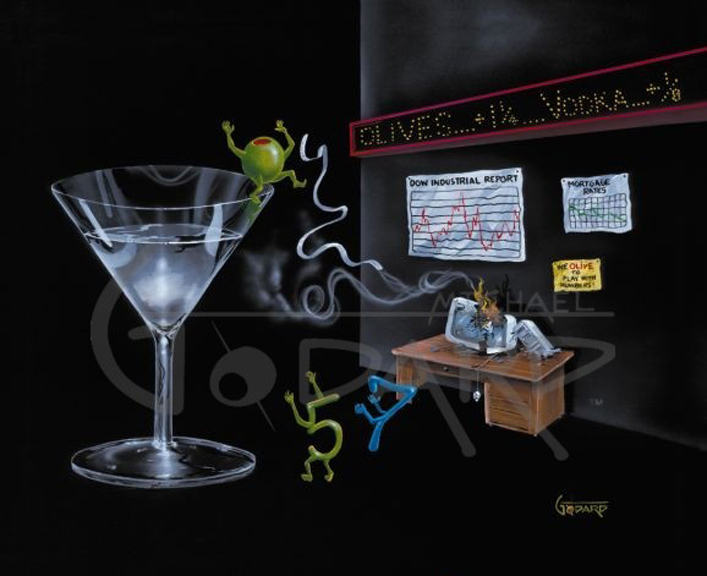 The sign on the wall reads, “We OLIVE like to play with Numbers!” Olives are on a huge run, up +1 ¼.